Tamarind was a common ingredient in the kitchen where I grew up as child in Penang, Malaysia. It comes from a large tree where the sticky tart pulp wraps around a few large seeds inside pods which do not open. 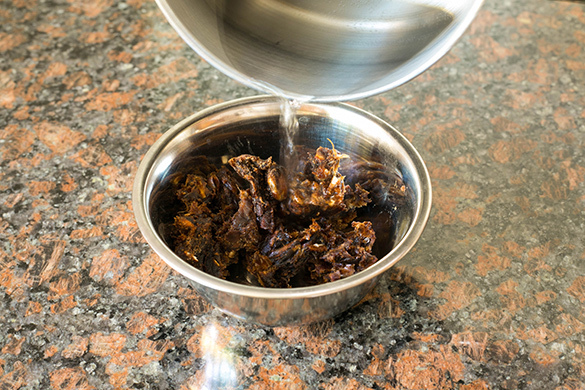 It can be consumed fresh or dried and it will get even tarter after the pods are dried. Its fruit was well known to the ancient Egyptians and to the Greeks as early as in the 4th Century B.C. Originally from tropical Africa in Sudan, it was introduced into India before being adopted my many cultures worldwide. When I was a student, I remembered how refreshing an iced tamarind drink felt. If you've ever had Worcestershire sauce, you've tasted tamarind. Tamarind has layers of sour flavor complexity that no other fruit like lime or lemon can match. That's why it's an important ingredient in chutneys, curries and sauces, and yes, including some brands of American barbecue sauce. 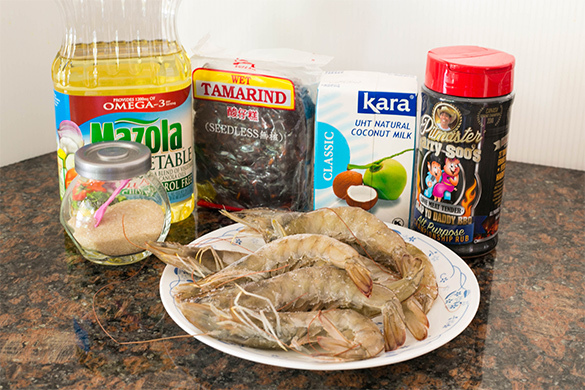 In this recipe, I combine some barbecue rub, coconut milk, and tamarind pulp to create great shrimp appetizer or main dish. 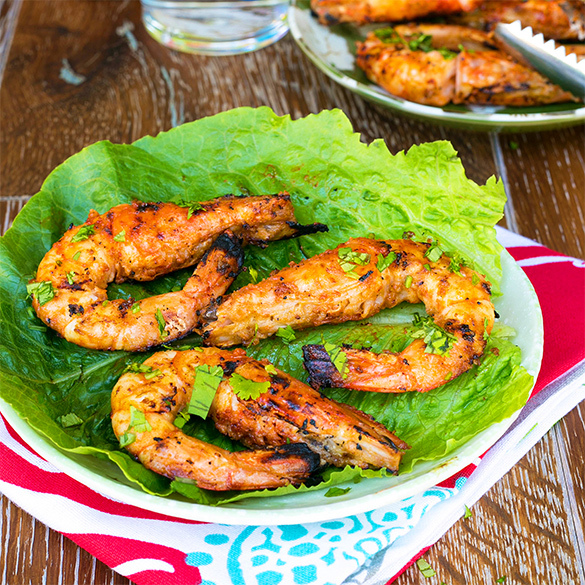 The sweet and sour flavors really come alive on a grill once you slightly char your shrimp. 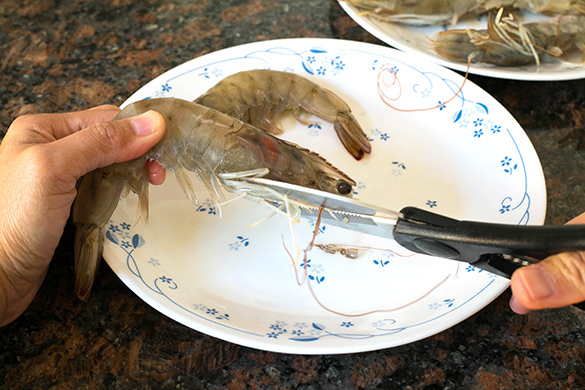 Prepare the prawns by cutting off the antennae and trimming off the sharp spikes on the front of the head of the shrimp. 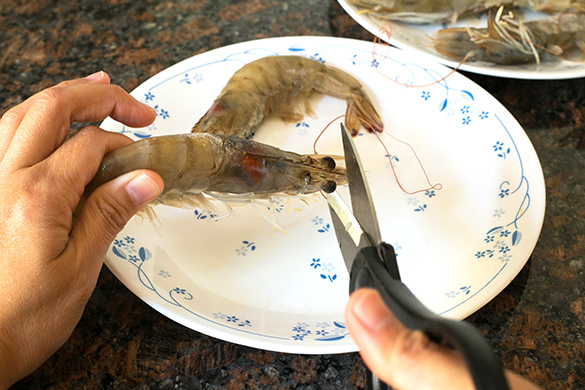 Carefully remove the shell from the body of the shrimp taking care to leave part of the tail and the head intact on the shrimp. Mix store bought tamarind pulp with warm water. 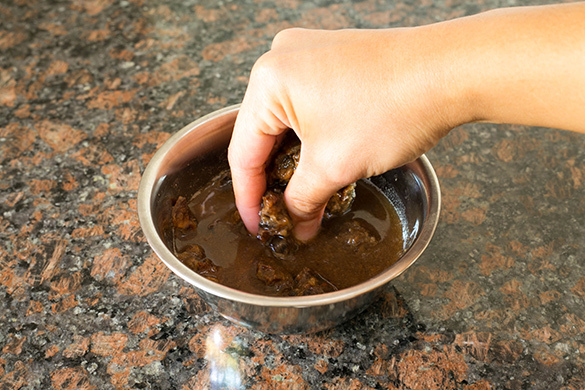 Press the pulp between your fingers to get about 4 tablespoons of pulp mixture. 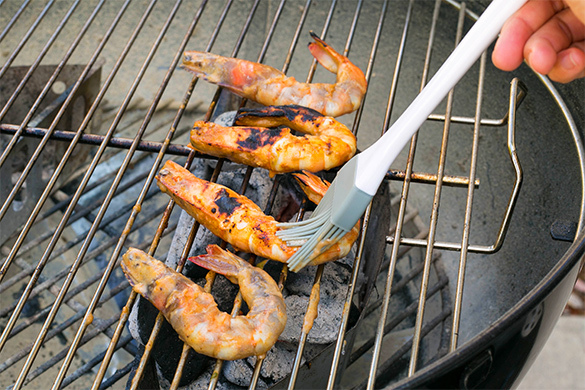 Grill the shrimp over hot coals and remove when just cooked. 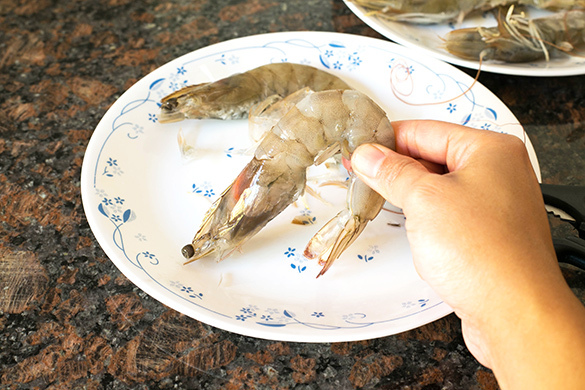 Baste the shrimp with the leftover marinade as you grill and take care not to overcook the shrimp. 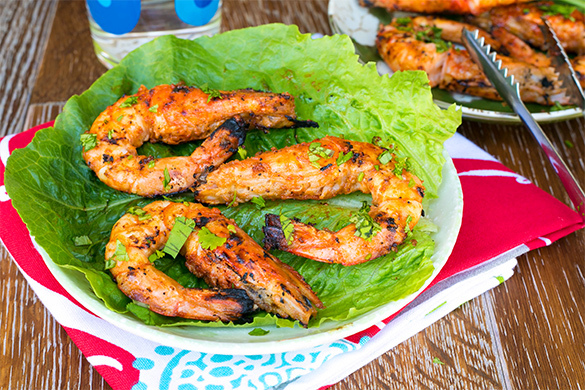 Serve immediately with some cilantro as garnish.